Chris Worth as a solo performer, plays the keyboard while singing a variety of diverse songs from rock, country, R&B, Motown, jazz to the genre of Frank Sinatra and Nat King Cole. Chris’s voice is exceptional and he has a range that truly amazes. He is a real crowd pleaser who delivers a great show. He performs at various venues in Fort Wayne, IN and throughout the country plus wedding receptions, private parties and corporate events. More info here. Chris Worth will perform on the Main Stage on Friday 7-10pm. 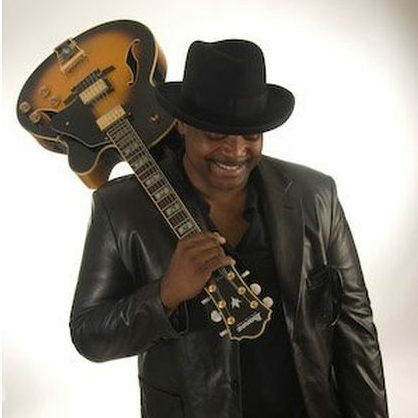 A unique blend of country/folk/gospel, and a touch of the contemporary, has gained John audiences in a wide variety of settings, including prisons, embassies, high schools, rest homes, churches, army bases, concert halls, and living rooms. His honest, genuine voice is easy to listen to and his message reaches everyone through humor, true life stories, a love for people, and a wide selection of songs (not to mention the Holy Spirit). More info here. 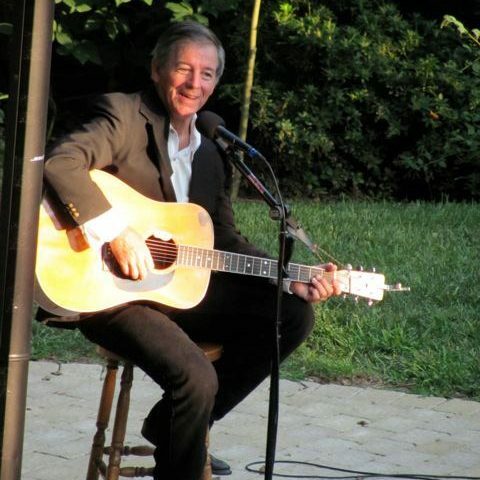 John Schmid will perform on the Main Stage 7-9pm on Saturday. Aaron Stutzman (age 30), a growing musician, singer, songwriter, and yodeler, received a passion for music during the early years of his life. It was in those years that he first heard the song of a yodeler. With much inspiration from yodeler Lee Schwartz, The Clearwater Band, and several other artists throughout the years, Aaron now seeks to bless and encourage others through his own singing and yodeling. 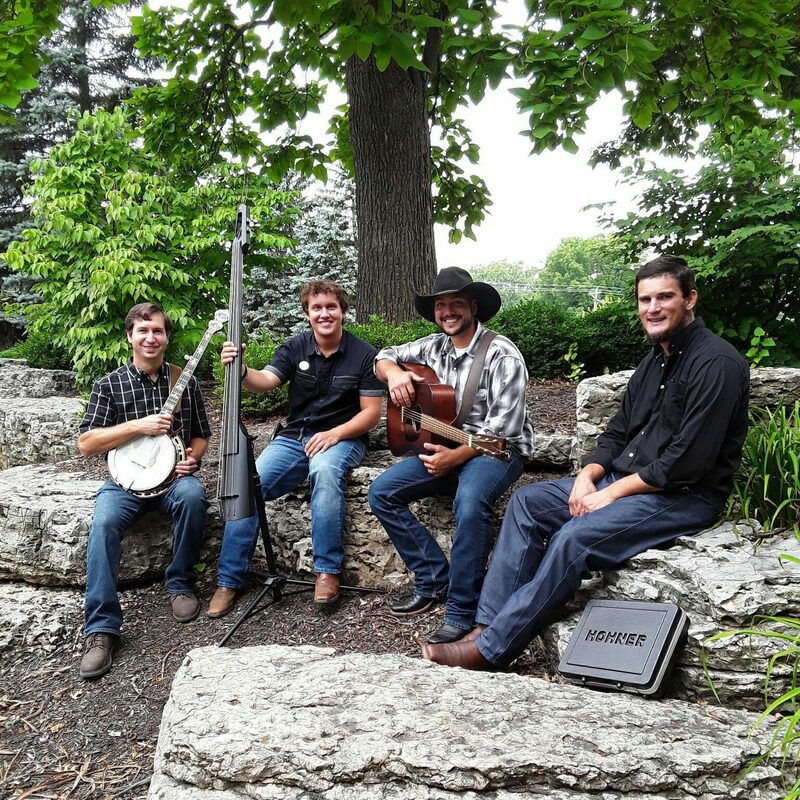 He is backed by a full bluegrass band with some upbeat country style and three-part harmonies. Aaron recorded his first album in 2013 called “The Yodeler”, and his second project titled “The Man I Am Today” in 2015. Lord willing, Aaron plans to record his third album sometime in the near future. Growing up, the Forks area between Shipshewana and Middlebury, IN was home for Aaron. Now he, his wife Jenna, 2 sons, Wesley and Walker, and daughter, Wrenli, make their home south of Millersburg, IN. Along with playing music, Aaron is self-employed doing handyman work. Aaron’s desire is to use the talent he has been given to share the love of Jesus, and bring glory to God through it. Aaron will perform on the Main Stage on Thursday 7-9pm. 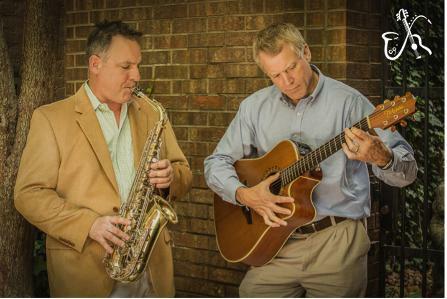 Schafer & Russell will perform on the Main Stage Friday 6-7pm. The Jug Huffers are a jug band from northeast Indiana that plays all of your favorite mountain music hits–bluegrass, old time, traditional, and original music to get you dancing and warm your cockles. We play anywhere we’re allowed (and even some we’re not). 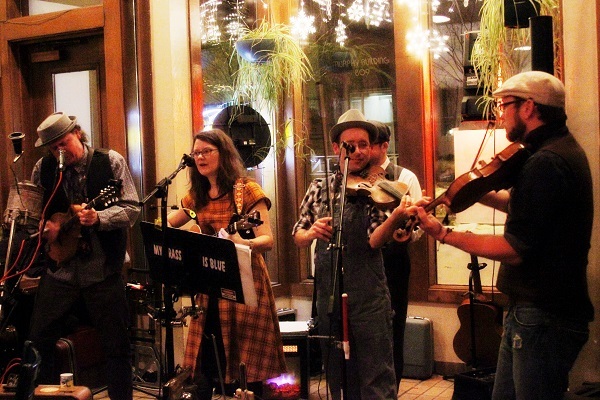 We’ve played in coffee houses, bars, private parties, bluegrass festivals, folk music festivals, farmers’ markets, and on the streets for tips. You may have even heard us on the radio–or that’s just the moonshine taking effect. Just point us to the party… More info here. The Jug Huffers will be strolling through the fair Friday 5-7pm and playing on the main stage Saturday 6-7pm. MIMETime is composed of about 20 senior high youth and adult directors. Commitment, hard work and a desire to share God’s love with others are vital to this drama ministry. More info here. 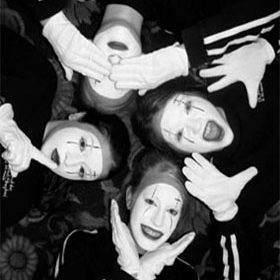 MIMETime will perform on the MIME Time Stage Friday 7-9pm & Saturday 6-8pm. The Chain Gang Barbershop quartet formed in 1997 and is noted for its a-cappella four-part harmony, a style that is unmistakably unique and pleasing to the ear. 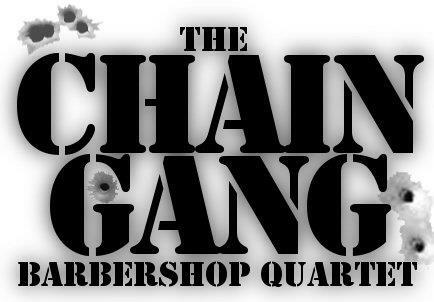 The Chain Gang performs for reunions, corporate events and festivals all over Northern Indiana and while two of the members are from Warsaw, the group is based in Columbia City as part of the Chain-O-Lakes Barbershop Chorus. We are proud members of the international organization, the Barbershop Harmony Society. More info here. The Chain Gang will be strolling through the fair Friday & Saturday 7-8pm.